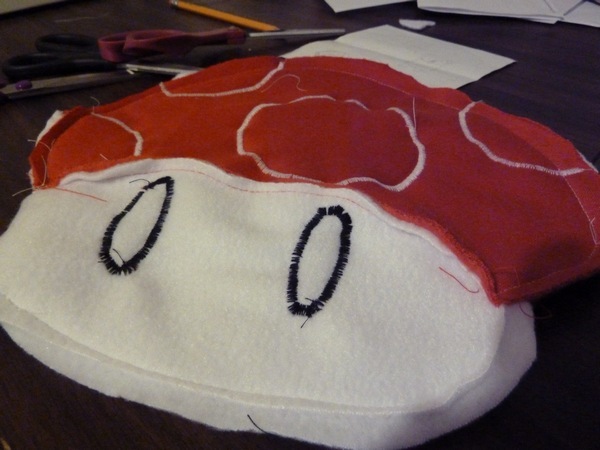 Let's make a mushroom plush! First, a pattern. 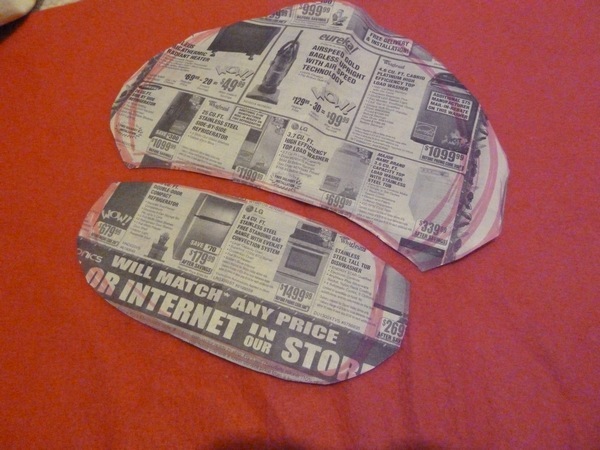 I free-handed mine, but one could easily just print out a mushroom and cut it out! Any excuse to buy some yummy soft fleece, eh? 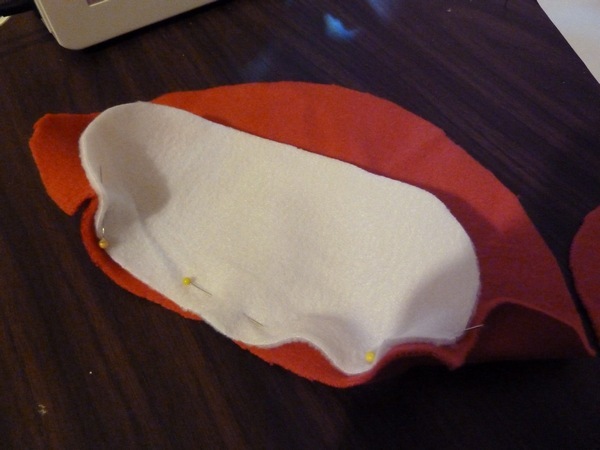 Connecting curved surfaces for sewing is sort of difficult, but as long as the ends meet! 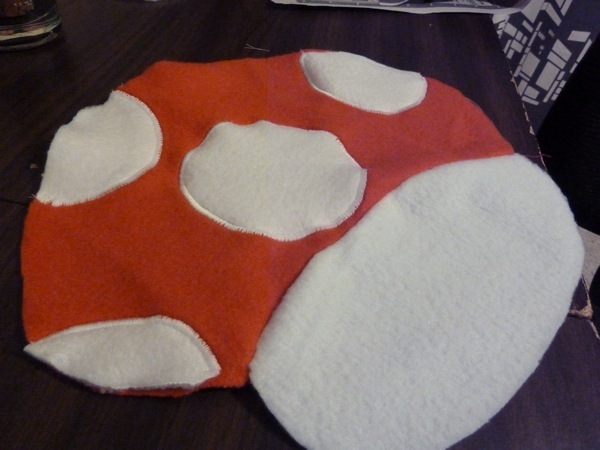 After cutting out some white circles for dots, I used a zigzag stitch on the widest and tightest stitch setting. 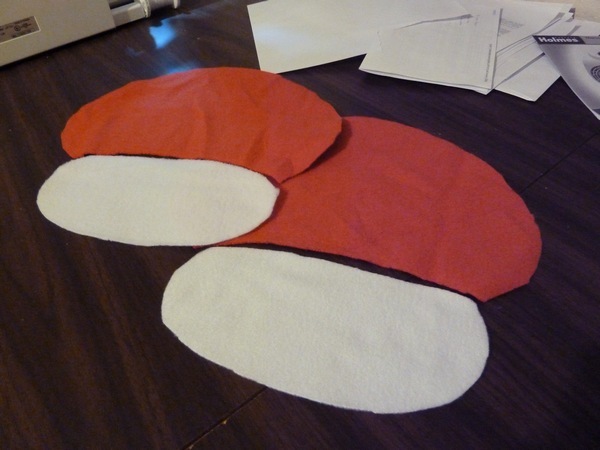 Then I sewed them onto the right side of the fabric. I think it's safe to assume that I am in love with this stitch! 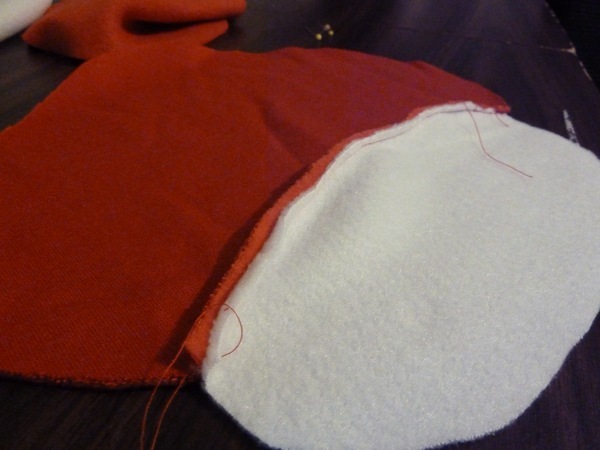 Sew the eyes on in the same manner..though this isn't as pretty since the tight corners were a little hard for me to maneuver! Go slowly! 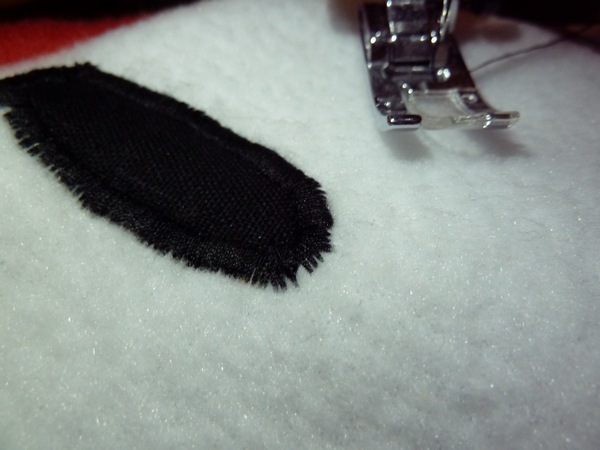 Repeat the circles on the backside, and then sew both sides together with the right sides facing each other. Leave a small gap for stuffing. Flip it inside out and start stuffing! More is always better than less when stuffing is involved! 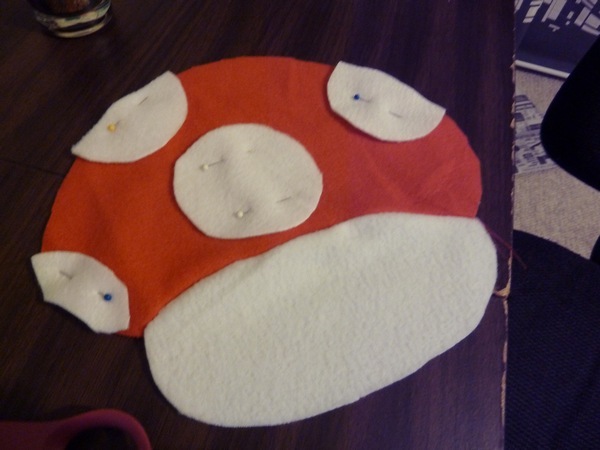 Close up your mushroom with some handstitching - use a hidden stitch for a nice seam! Okay, so mine isn't the most even in the world..
And you're done! 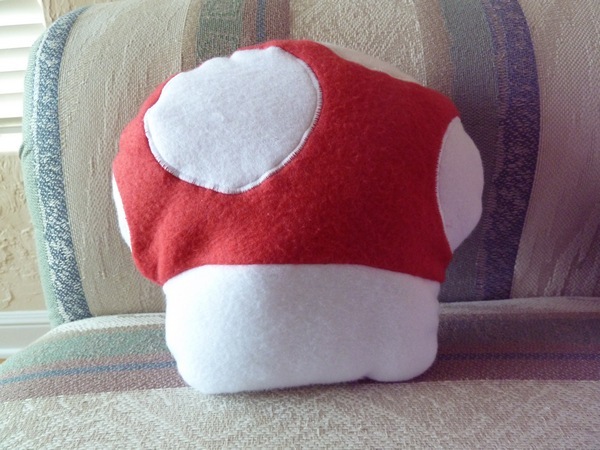 One mushroom! 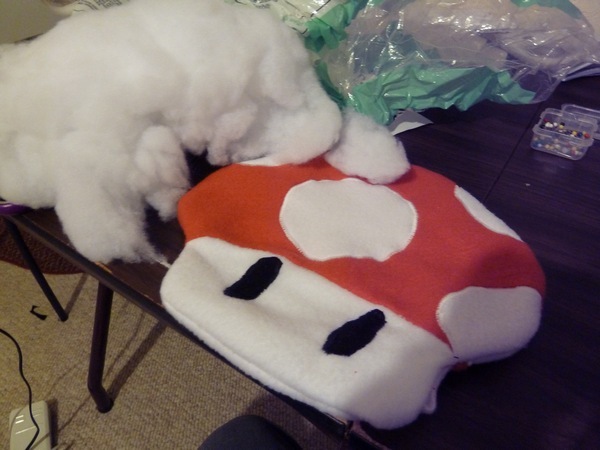 I ended up making five mushrooms, actually. Four for two sets of brothers, and one for Jennifer since she's expecting! 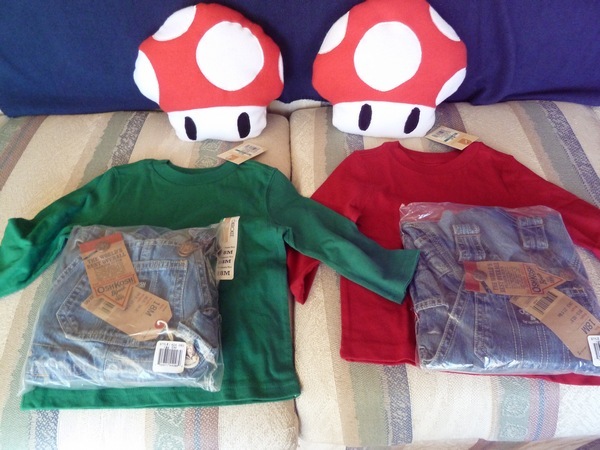 For the brothers, I paired the mushies up with some Osh Kosh overalls and long sleeved red and green shirts. Instant kiddo cosplay! Are they not the cutest ever?! My heart melts! 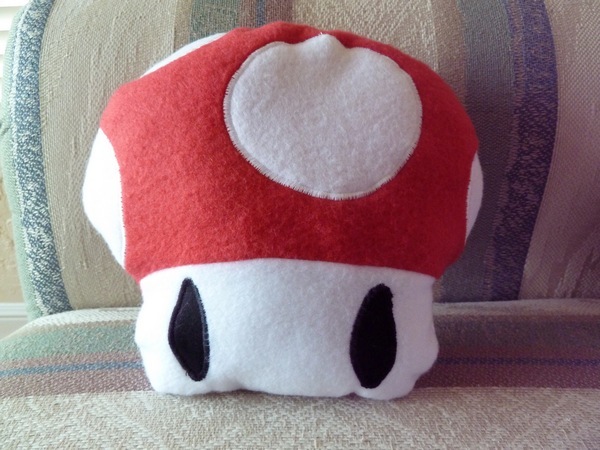 This Mario already had a hat! Legit! 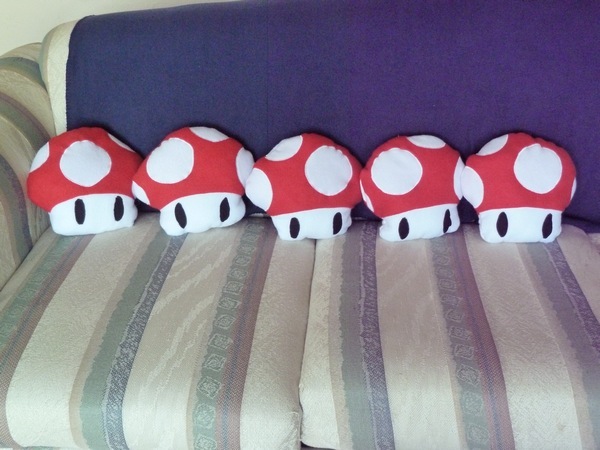 The plushies are so cute, especially with the mini Mario and Luigi! Wow - cute! 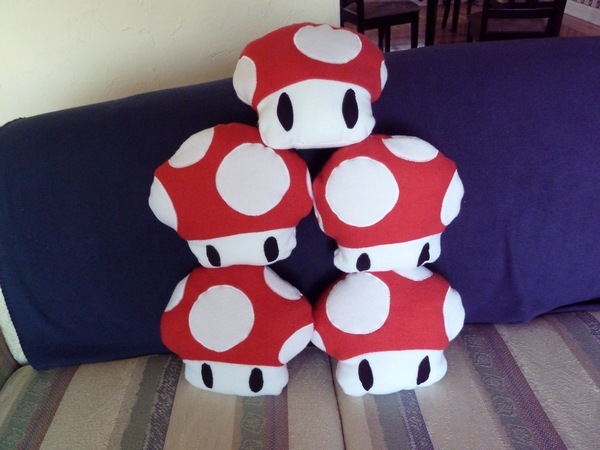 Knowing how to do this is great, 'cause it makes a great gift! 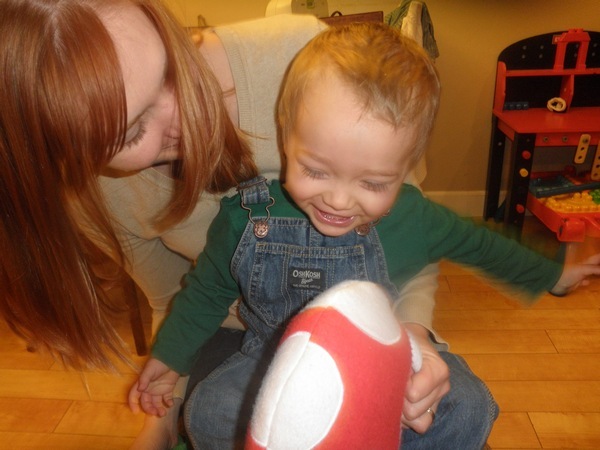 so cute--both the plushies and the babies! Very cute! 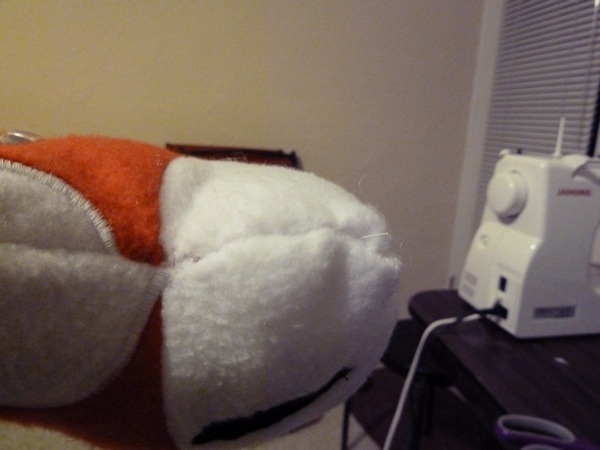 I really need to learn how to sew . . . Indeed, thanks again! That's a whole lotta plushies you got goin' on there! 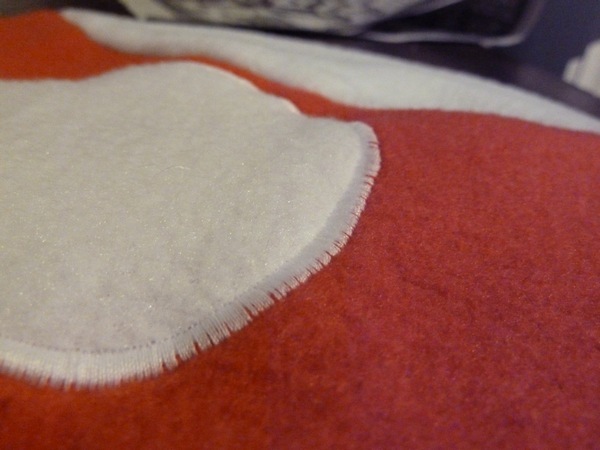 And.. that stitch you used, first thing I noticed! Love it! You are amazing! 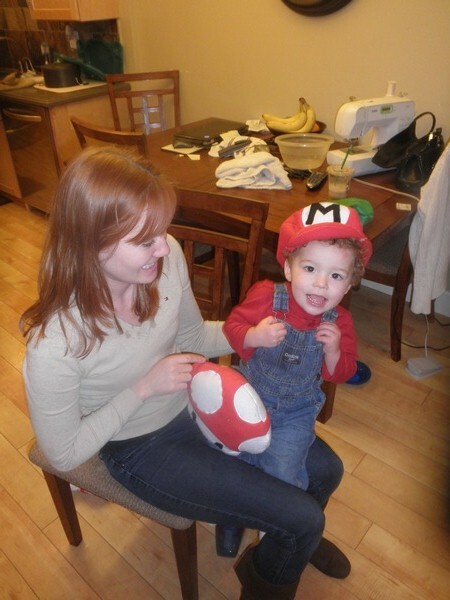 My kids sure make toadstools look good! @jennifer - ohhh, that's a cute idea! @hapafam - they are awesome models! :D small J totally has the smoldering smirk look going on in that first picture!